For everything from rekeying or repairs to new keyless entry systems, Cary, Clayton, and surrounding area residents rely on the certified, bonded and insured professionals at A Carolina Locksmith. As a member of the North Carolina Locksmith Association, we adhere to the highest professional standards, and will go above and beyond to provide you with the best quality locks, exit alarms, and panic devices. 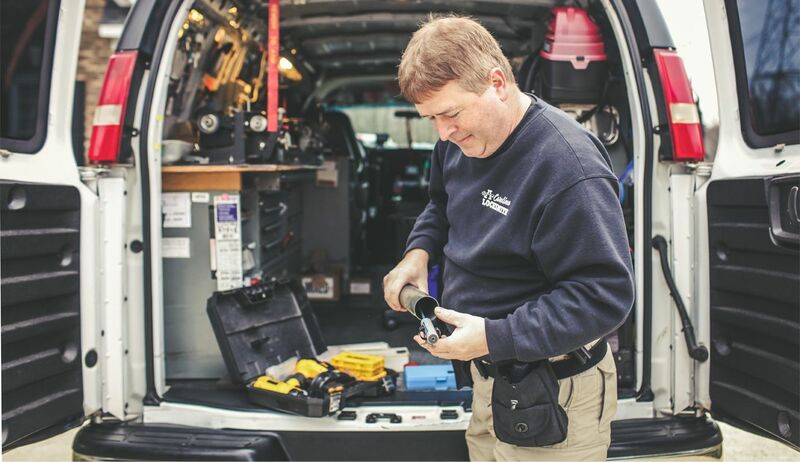 A Carolina Locksmith will come to install or service your locks, making sure you are able to resolve any problems you may have promptly and be back in business in no time. You’ll receive professional service and the peace of mind that comes from knowing your locks and alarms are all in order. Our goal is to ensure that your business is safe, secure, and up to code. That means we are available 24/7 to install or service your locks. For prompt and friendly service, call us at 919-608-3694. Greg is by far the most prompted, patient, professional, and trustworthy men I have ever met. I had a very personal vault that had extremely sensitive content inside that I was locked out of due to lost key. I highly recommend Greg beyond just a great locksmith but a wonderful Christian gentleman. Excellent friendly service!! Super nice, coming from a young female, I felt very comfortable. Definitely recommend him for any locksmith needs! I will be using his services again if I need him in the future! I called and told them I needed a locksmith for a work truck. He said he would be here in about 12 minutes, & was here in no time! SUPER nice guy & reasonable price. We will definitely use him again!! COPYRIGHT © 2019 A CAROLINA LOCKSMITH | SITE DESIGNED BY M IS GOOD!